The Google I/O 2016 developer conference is currently ongoing. As expected, Google has made many interested announcements and unveilings. Google has made yet another announcement and that is about the Chromebooks. 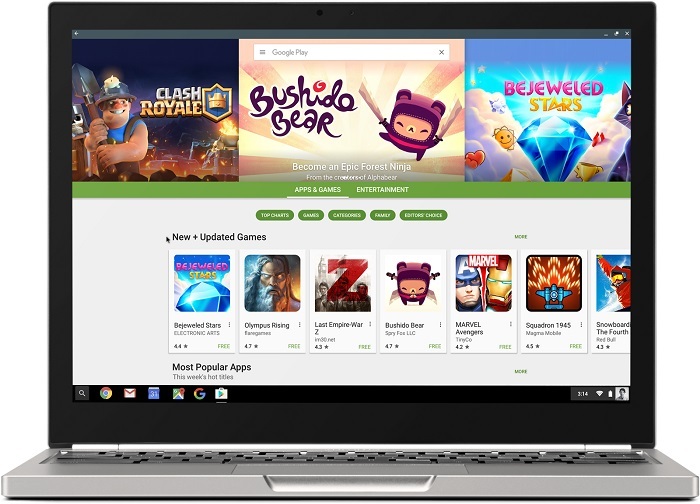 Google has declared that Android Apps and Google Play Store will be coming to the Chromebooks near you. If you are not aware, Chromebooks are essentially laptops, albeit a little under powered ones than the mainstream laptops and are running on Google’s Chrome OS. 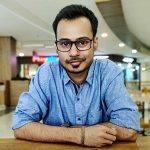 A Chromebook is totally dependent on a reliable Internet connection as most of the Chromebooks generally don’t have enough on board storage and hence users are required to store their files on cloud. This also means that there aren’t much options to utilize online, be it an office suite or a photo-editing software. Chromebooks left the Macs behind in overall shipments during the Q1 of this year. Google is encouraged by this growth and has hence decided to bring the Play Store and in turn Android Apps to the Chromebooks. This will let Chromebook users run more apps and do more work offline than having to rely on an Internet connection every time. “we’re bringing Google Play (the most popular app store in the world) to Chromebooks. This means you’ll be able to download and use Android apps, so you can make a Skype call, work with Office files and be productive offline — or take a break with games like Minecraft, Hearthstone or Clash of Clans.” said Dylan Reid, Chrome OS Software Engineer in a blog post. “The same apps that run on phones and tablets can now run on Chromebooks without compromising their speed, simplicity or security. This is good for users and great for developers – in addition to phones and tablets, they will be able to easily bring their apps to laptops. And all this is built on top of Chrome OS, so users will continue to have everything they love in their Chromebooks.” Mr. Reid further added. Initially, the Google Play will be rolled out to ASUS Chromebook Flip, the Acer Chromebook R 11 and the latest Chromebook Pixel in early June. You can take a look at the list of supported Chromebooks here. There were also reports back in October last year about Google’s plans to merge Android and Chrome OS. Maybe this is the first step from Google in that direction.